Consistently good on all counts. Made to feel like a personal friend. Definitely worth a visit if you want to come out feeling special. I live in the NE of England and visited the salon as I was in need of a haircut. The male member of staff who welcomed me to the salon was very friendly and attentive. The girl who was washed my hair made me feel relaxed and gave me a gorgeous head masssage and Katie made me feel welcome and did an excellent job of cutting and styling my hair. I wish this salon was in my hometown of Sunderland, I can’t sing Katie’s or the staff’s praises enough. Thank you Sian and Toni and Guy Chester. I had a lovely relaxing morning with very friendly, knowledgeable and attentive staff. I love my new hair do! I normally don’t enjoy going to the hairdressers as I don’t know what to ask for and seem to come away with a disappointing haircut but today was totally different. I loved how Sian knew exactly what I wanted, suggested great products, really took time to wash and treat my hair and blow dry it beautifully. Great experience. Mel was very welcoming, felt very confident in her knowledge! She gave me a brilliant cut! Will definitely recommend her. Excellent service, very polite staff. This is, hands down, the best haircut I have had in a very long time. Great experience, Rebecca was lovely. Mel, she knew exactly what I wanted & did it perfectly. Thank you. Wouldn't go anywhere or to anyone else. Been a client for Mel for around 2/3 years and she's just fab. Honest and so talented. Won't let anyone else touch my hair or fringe now! Best. I have very tricky, long and frizzy hair so when I got my first ever pay check, I decided to go and treat myself and get my hair done somewhere nice. 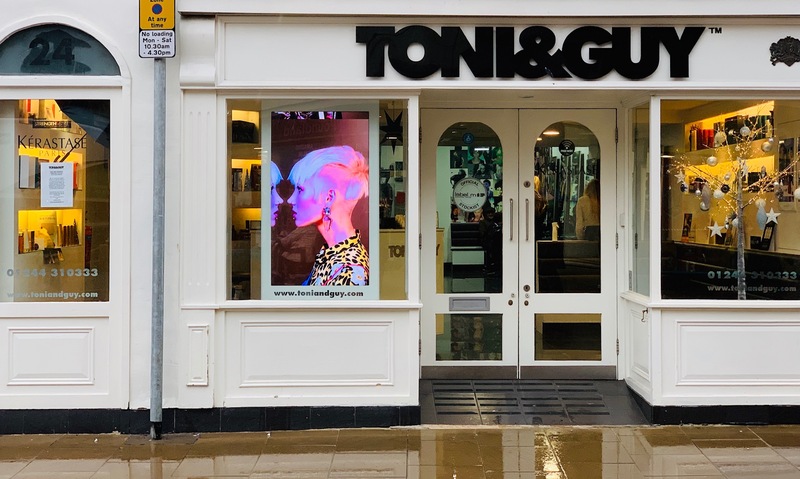 I went to Toni and Guy Chester and was blown away from start to finish. The way you’re greeted when you walk in, choice of hot drinks, meeting Mel Kimpton for the first time and getting to know her and her getting to know me and my hair, and her doing her magic. This was about 5/6 years ago now and it hasn’t changed to this day. I would never let anyone else touch my hair and I have complete faith in Mel. She is incredibly talented and humble, full of energy and the work she does is worth 10x what I pay!! Always a great cut and service from Mel, knows exactly what i want and delivers every time- thats why I’ve been returning every month for almost 10 years. Couldnt ask for anymore, highly recommended 10/10 !!! Mel is the most amazing hairdresser! When I first came to her I had super long hair and had been to several hairdressers that didn't know how to cut it nicely or just got carried away and cut way too much off! With Mel I don't even need to say exactly what I want because I trust her to make it look amazing every time. Always feel like a princess when I leave the salon and the cuts stay looking gorgeous for ages! Best hairdresser I've ever had wouldn't trust anyone else to cut it now!